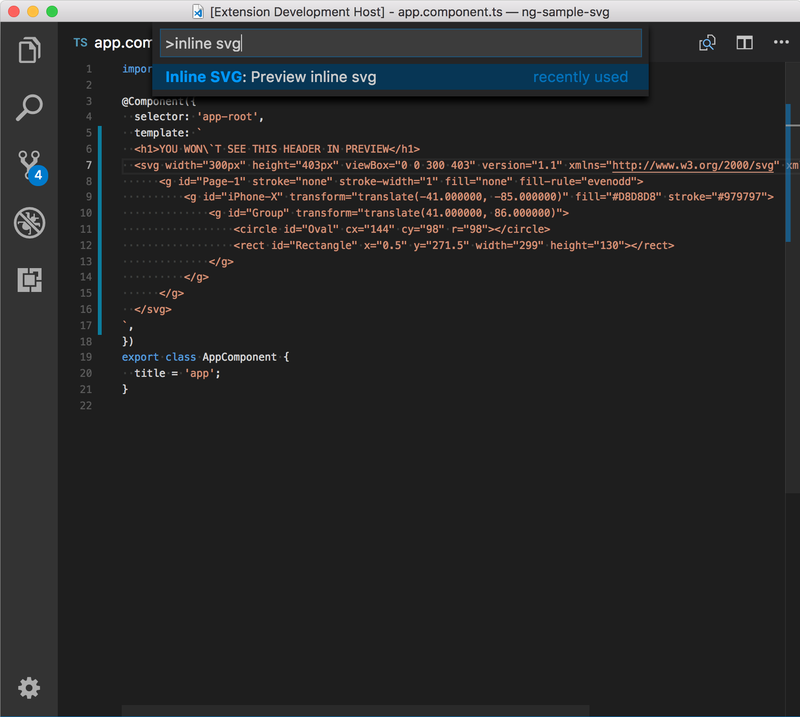 Visual Studio Code>Other>Inline SVG PreviewNew to Visual Studio Code? Get it now. 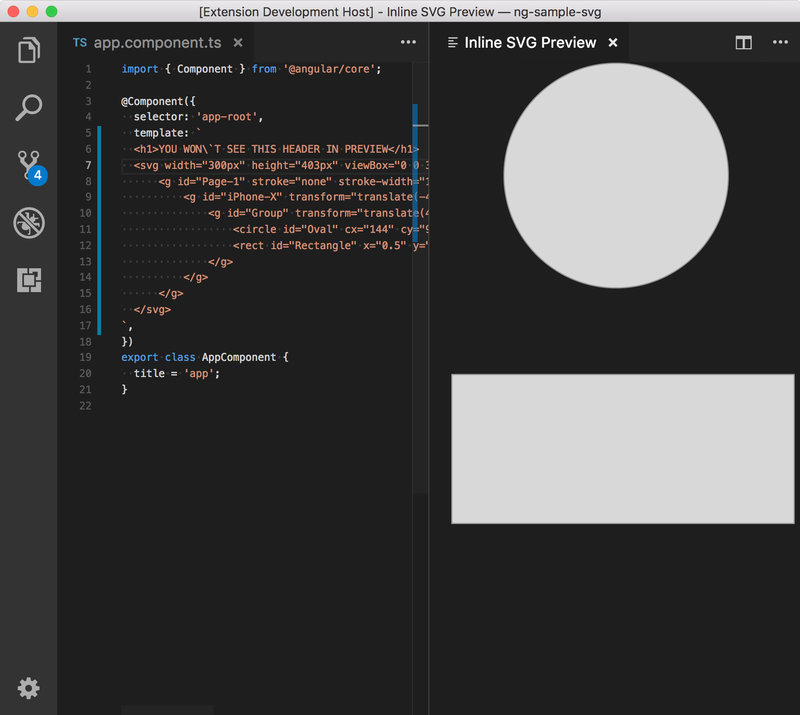 Open file with inline svg code in it, place cursor between opening and closing svg tag. 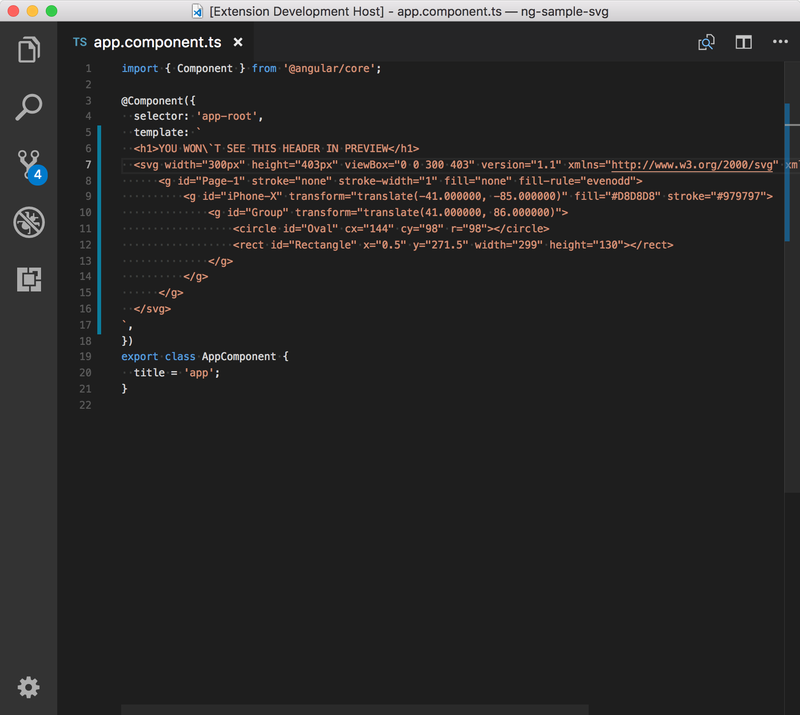 Start typing 'inline svg' in command prompt, select 'Preview inline svg' command. Preview will appear in side view panel.